Solar energy combined with battery and diesel generators ensures that everyday electricity demand and the needs of industrial loads can be met in off-grid regions. The first Testing Center in the world has now been set up in Germany.We spoke with Jakob Issleib about what is being done there and why it is so important. The owner of a plastic molding company in Zouk Mosbeh, Lebanon, chose a PV diesel hybrid system to operate the company’s electricity grid. The SMA Fuel Save Solution, reduces the use of expensive power from both the public grid and gensets, and optimizes the consumption of PV energy. What form exactly does hybrid energy supply to a village or industrial operation located away from the utility grid take? What conditions are needed for a PV system to produce a given amount energy? How much diesel generator capacity is required to ensure an uninterrupted electricity supply? What happens to the energy supply system if clouds suddenly block out the sun, or if an industrial operation runs all of the machines at the same time in the morning? How does the system react? The individual components? Up to now, the answers have come from reports, analyses and figures based on experience from existing off-grid systems that provide electricity to locations without public power supply via an energy mix of solar and diesel power. The new center in Niestetal, in the North Hesse region, makes it now possible to conduct tests on energy supply systems of this kind and potential events, such as the sudden high electricity demand or solar energy dropout, while accounting for a number of possible influences. Jakob Issleib, an employee in the Storage Systems Development area and deputy head of the Testing department, explains how energy is produced and stored in the SMA Testing Center for hybrid energy systems, while also touching on how the energy is accessed and used when needed. What exactly can you do at the Testing Center? Jakob: Firstly, we can simulate different scenarios of hybrid energy supply and control them using the SMA Fuel Save Controller. 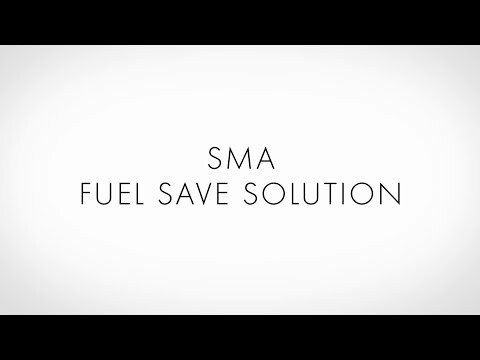 In this process, we measure what happens in certain situations and how the SMA Fuel Save Controller needs to be set to handle these eventualities. The good thing for customers is that we can simulate errors in existing hybrid systems around the world immediately as soon as they occur on-site. This makes it possible to view and state what the problem is. The situation is then reenacted in the Testing Center to solve a troubleshooting problem directly. This service is not available anywhere else. In addition to these tests, the Testing Center can also assess and validate new products, such as the new Sunny Central 2200 and 2500, in a diesel hybrid system. We can do this for the performance of the components and communication between the individual components. In reality, there are often long distances within an energy supply system between the components that generate electricity and the loads. But the Testing Center is very compact, isn’t it? How was the problem of distance resolved here? Jakob: We use variable resistors and impedance to reproduce the different cable lengths in a customer’s system on-site. What test scenarios are simulated? Jakob: Simple hybrid electricity supplies for settlements of up to 18,000 people or hotel resorts. It would also be possible, however, to stimulate larger hybrid electricity supply scenarios for commercial loads, such as factories or warehouses, and for industrial uses in the power plant size, such as mining or industries producing raw materials. The complete photovoltaic-diesel hybrid system with battery is able to cover almost all grid management services relating to frequency stability, voltage stability, or reestablishment of supply and bottleneck management. It is therefore possible to investigate how the system will work in case of an over-/underfrequency, balancing out increases/decreases in voltage as well as self-sufficiency (a supply that is separate from the public grid) in advance. What particular “events” may occur? What exactly is simulated in the Testing Center? Jakob: In reality, communications may be interrupted, for example. A cable may be cut, a line damaged. In the Testing Center, we are able to reconstruct these types of scenarios and then observe how the individual components react. We can then set the Fuel Save Controller in such a way that the system continues to run. The early peaks that occur in industry, resulting from all of the machines being switched on in the morning, are simulated in the Testing Center. The Fuel Save Controller can then learn what to do in these situations. For example, when the battery is almost empty, the diesel generator must be switched on. If photovoltaic power is available, it can be switched off. What are the benefits for potential customers? Jakob: Customers whose systems are modeled and monitored in the SMA Testing Center will benefit from the best possible hybrid energy supply and will profit from savings on diesel fuel. For example, the first multi-megawatt reference system in South America is benefiting from a saving of around 5,200 liters of diesel per day thanks to all components working together effectively and everything running smoothly. The advantage for our customers is that we are able to adapt the system design to fit their individual needs and simulate their on-site conditions (load flows, cable lengths, generator output, etc.). We can also test the way that the different components (the Sunny Central inverter, Sunny Central Storage battery inverter, and the SMA Fuel Save Solution) work together and reproduce potential faults (short circuits, network instabilities, etc.). In the Bolivian highland a PV diesel hybrid system with 5.2 MW photovoltaic power and 2.2 MW storage with 15.2 MVA installed genset power and controlled by the SMA Fuel Save Solution supplies 55,000 people of a neighboring city with electricity. Why do you need to test a hybrid energy supply system in advance? Aren’t there enough systems that are already in operation to provide sufficient figures based on experience? Jakob: Of course, we draw on reference and known data, etc. when planning new systems, but the fact is that every system is different. The requirements of the different conditions at the location in question and use are always entirely unique. For that reason, only a simulation using the original data for the relevant system can provide exactly the right forecasts and therefore take into account the corresponding settings, etc. in advance. This is an invaluable advantage to system operators, who can feel secure about their choices. Find more information in our white paper. Thanks and greetings to Tanzania!